The Indian state of Goa is increasingly becoming a very popular tourist destination, both within the country as well as outside of it. Largely famous because of the vast sandy stretches of coastline, the state attracts a great many number of tourists every single year. In addition to this, the state also happens to boast of a lot of other attractions such as historical sites, cultural treasures and natural landmarks. One of the things which make Goa a very different place compared to other regions of India is the colonial legacy of the state. It is one of the very few places in India that ended up as a colony of a European power other than the British. The region was ruled by the Portuguese for centuries, which left a very distinct mark here. For the tourists who are planning to visit the state, there are plenty of choices when it comes to finding accommodations. Should one be looking for great resorts, the state has some fine choices to select from. Given below are some amazing beach resorts in Goa to consider, should one be interested to stay by the beach while in the state. Riva beach resort is an excellent three-star resort located along the beach of Mandrem. Situated just adjacent to the seashore, it makes for a most wonderful stay while on a holiday in Goa. The beach is just a short distance away, with the coastline within walking distance from the premises of the hotel. 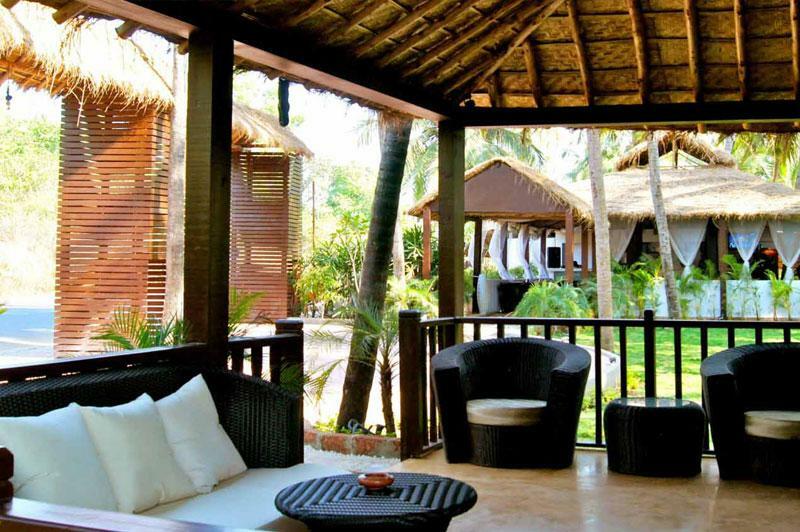 Furthermore, the resort itself is surrounded by groves of coconut trees, giving it a lush tropical environment. Coming to the rooms, all of them are very well furnished with all major amenities and facilities. The Starting prices for rooms begin at Rs 3, 500. The facilities that are available include Pool, Beachfront, Room Service, Free Parking, Restaurant, Bar/Lounge, Spa, Breakfast included, Free High Speed Internet ( WiFi ), Room Service, Free Parking, Airport Transportation, Breakfast included, Dry Cleaning, Laundry Service, Concierge, Banquet Room, Multilingual Staff, Air Conditioning, Refrigerator in room, etc. The Chances Casino and Resort is a great place for one to enjoy in Goa. Situated just adjacent to the seashore in Dona Paula, it is a wonderful three-star resort to consider if one is going on a holiday to Goa. With regard to the beach, it is very near to the resort and well within walking distance from its premises. Coming to the rooms, the place has all modern amenities and facilities necessary to enjoy an amazing vacation. The Starting prices for rooms begin at Rs 3, 100. The facilities that are available include Pool, Room Service, Restaurant, Free Parking, Fitness Centre with Gym / Workout Room, Bar/Lounge, Spa, Beachfront, Free High Speed Internet ( WiFi ), Breakfast included, Room Service, Free Parking, Airport Transportation, Dry Cleaning, Meeting Rooms, Banquet Room, Children Activities (Kid / Family Friendly), Breakfast included, Laundry Service, Concierge, Conference Facilities, Air Conditioning, Refrigerator in room, etc. The Rococco ashvem Resort is an amazing three star getaway located at a secluded spot in North Goa. Situated along the coast in Pernem, it is an excellent resort to consider should one be vacationing in this part of the state. The resort is located a very short distance from the beach, with the seashore located well within walking distance. In fact, the beach and the Arabian Sea are entirely visible from within the premises of the resort. With regard to the facilities, the rooms are well decorated and furnished, as is the entire lobby. In addition to this, there are several rooms that have a clear view of the beach and the Indian Ocean, for those who want a place closer to the seashore. The types of Rooms are entirely standardized. The facilities that are available include Restaurant, Beachfront, Free Parking, Bar/Lounge, Room Service, Free Internet, Breakfast included, Free Parking, Children Activities (Kid / Family Friendly), Room Service, Airport Transportation, Breakfast included, Laundry Service, Concierge, Babysitting, Air Conditioning, Refrigerator in room, etc. 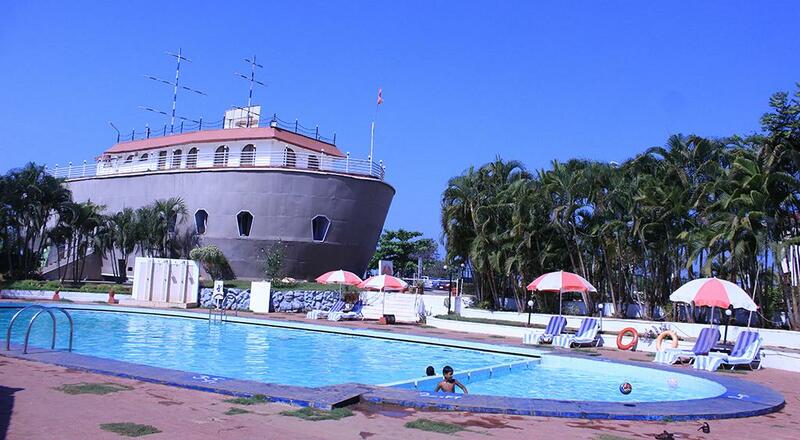 The Byke Old Anchor Resort is the very first resort in South Goa. Situated just along the famous beach of Cavelossim, it is a great three-star hotel to consider if one is visiting this part of the state. The resort is themed along the lines of traditional architecture, particularly from the colonial era. In addition to this, the place is nestled amidst coconut groves, giving the resort a great tropical atmosphere. Coming to the rooms at the resort, all of them are well decorated and furnished, and have all major amenities and facilities. The beach is located just across the premises of the resort and well within walking distance. The Starting prices for rooms begin at Rs 4, 400. The facilities that are available include Pool, Room Service, Free Parking, Beachfront, Restaurant, Bar/Lounge, Free Internet, Spa, Breakfast included, Room Service, Free Parking, Children Activities (Kid / Family Friendly), Airport Transportation, Breakfast included, Meeting Rooms, Laundry Service, Concierge, Banquet Room, Multilingual Staff, Conference Facilities, Air Conditioning, Refrigerator in room, etc. 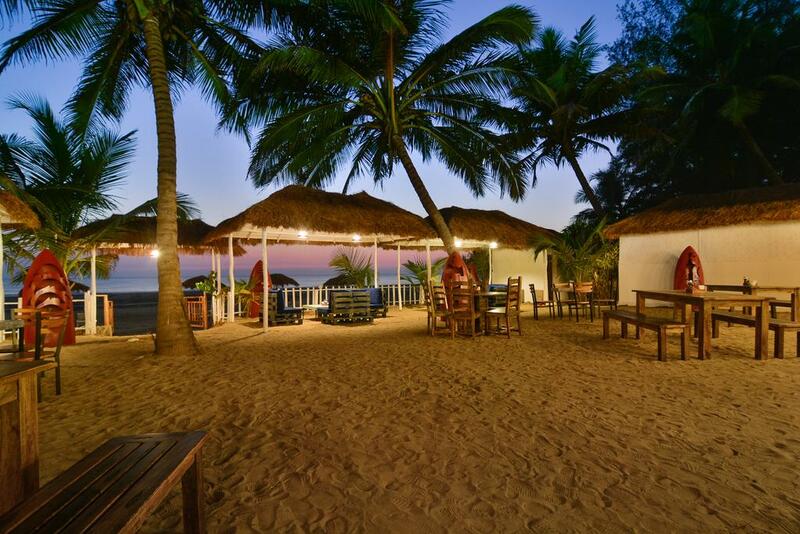 The Larisa Beach Resort is an excellent three-star resort located along the famous Morjim beach. 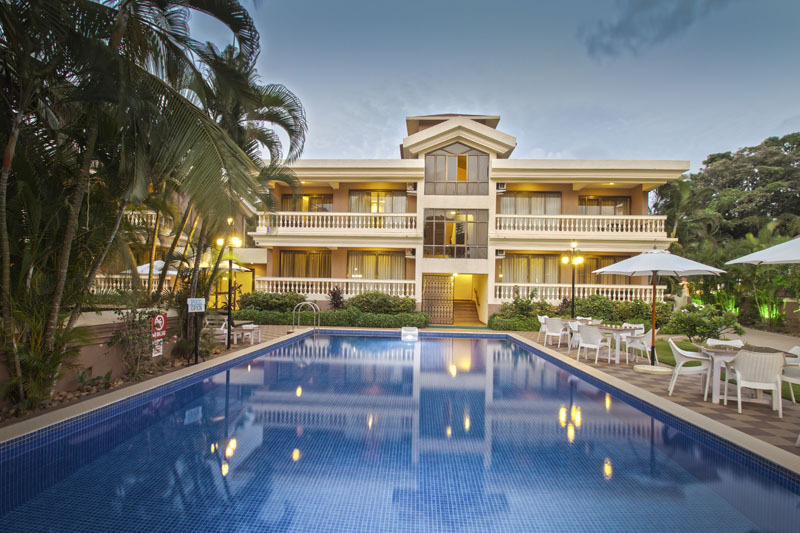 Situated just a short distance away from the beach, the resort is an excellent place for one to stay at while in this part of Goa. The entire resort area is surrounded by coconut trees, making it an excellent tropical getaway. The rooms at the resort have been designed with elegance and have all major facilities. The types of Rooms are all entirely Smoking rooms. The facilities that are available include Beachfront, Free Parking, Restaurant, Bar/Lounge, Free High Speed Internet ( WiFi ), Breakfast included, Free Parking, Breakfast included, Laundry Service, Concierge, Multilingual Staff, Breakfast Available, Air Conditioning, Refrigerator in room, Minibar, etc. The Sonesta Inns is an excellent three-star resort in Candolim. 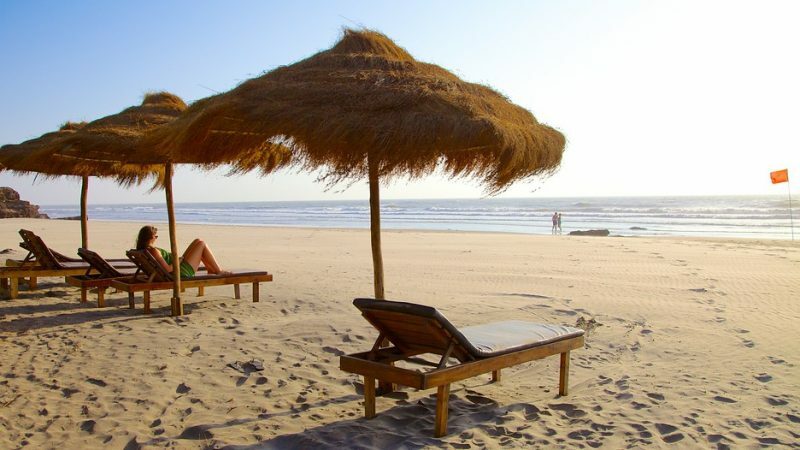 Situated along the famous Candolim beach, it is a great place to spend a holiday while in Goa. The resort itself is themed largely along modern architectural designs with plenty of attention being paid to detail. In addition to this, the rooms at the resort are very well furnished with all major amenities and facilities. Last but not the least; the beach is just a short distance away. It will take a short walk for one to reach the seashore. The facilities that are available include Pool, Room Service, Free Parking, Restaurant, Beachfront, Bar/Lounge, Free High Speed Internet ( WiFi ), Fitness Centre with Gym / Workout Room, Breakfast included, Spa, Room Service, Free Parking, Banquet Room, Breakfast included, Dry Cleaning, Laundry Service, Concierge, Multilingual Staff, Business Centre with Internet Access, Air Conditioning, Refrigerator in room, Minibar, etc. 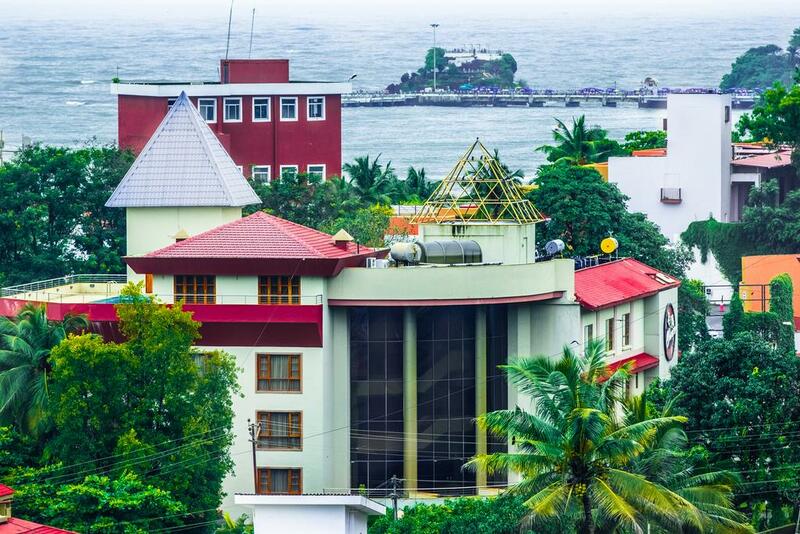 The Seashell Beach Suites is an excellent three-star resort located on Candolim Beach. Situated adjacent to one of the most popular beaches in Goa, it is one of the best places to consider while holidaying in this part of the state. The resort has plenty of amenities for a comfortable stay, while at the same time providing an amazing tropical ambience to its guests. The Starting prices for rooms begin at Rs 6, 300. The facilities that are available include Pool, Beachfront, Room Service, Restaurant, Bar/Lounge, Breakfast included, Fitness Centre with Gym / Workout Room, Free High Speed Internet ( WiFi ), Room Service, Airport Transportation, Breakfast included, Dry Cleaning, Concierge, Laundry Service, Air Conditioning, Refrigerator in room, etc. 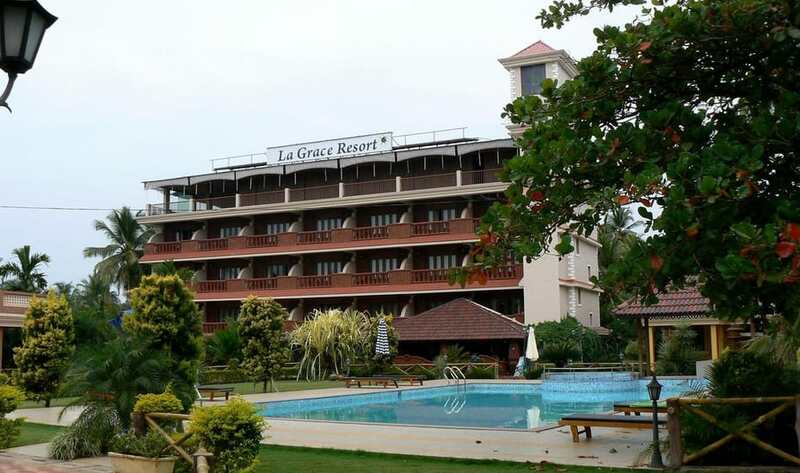 The La Grace Resort is a three-star resort located near Benaulim Beach. Situated a short distance away from the beach, the resort offers an excellent level of comfort and luxury. The place has all major conveniences and facilities, all of which provide for a most memorable stay. With regard to the beach, it is very near to the resort and within walking distance. The types of Rooms are all entirely Family Rooms. The Starting prices for rooms begin at Rs 2, 700. The facilities that are available include Pool, Room Service, Free Parking, Restaurant, Bar/Lounge, Breakfast included, Beachfront, Free Internet, Fitness Centre with Gym / Workout Room, Room Service, Free Parking, Airport Transportation, Breakfast included, Laundry Service, Children Activities (Kid / Family Friendly), Air Conditioning, etc.